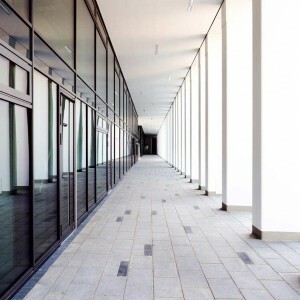 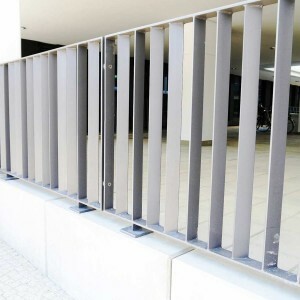 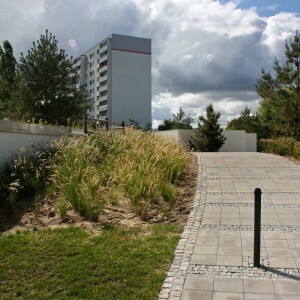 gruppe F landscape architects was founded in 1992. 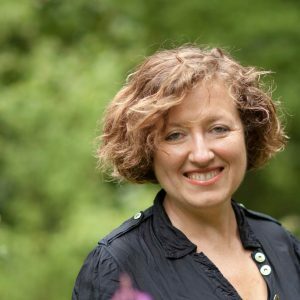 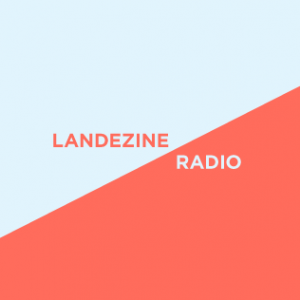 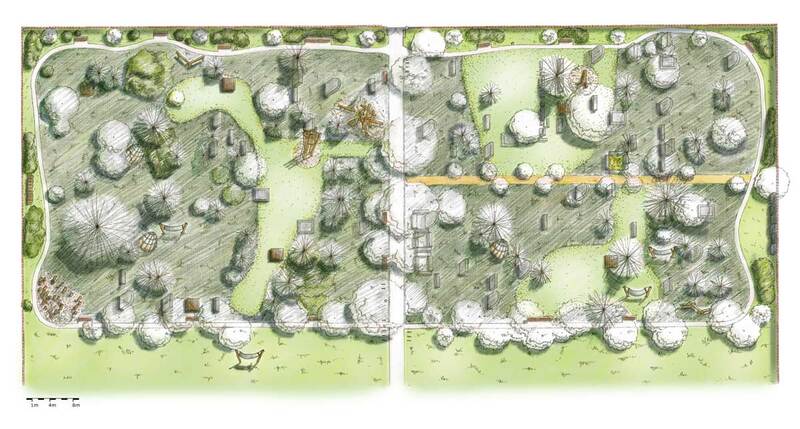 A wide ranging team consisting of landscape architects and planners, ecologists, geographers as well as sociologists and city planners working in a broad spectrum of open space planning. 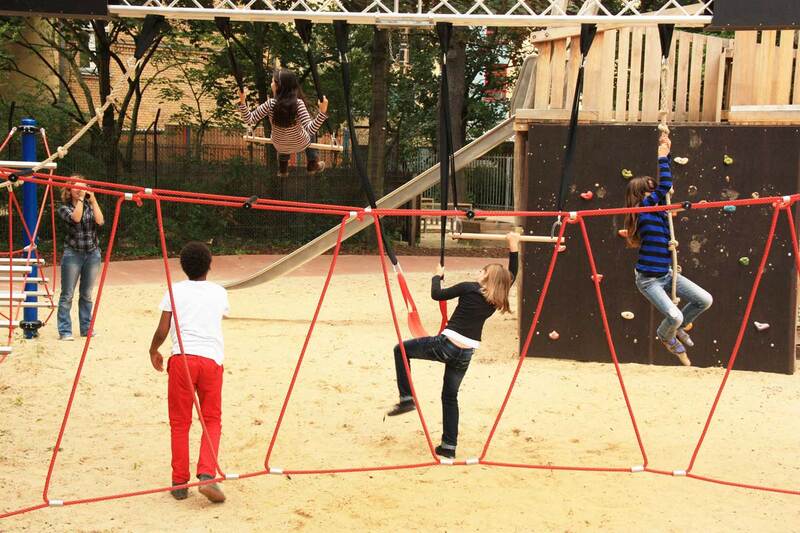 From strategic, large scale concepts to detailed solutions for small spaces. 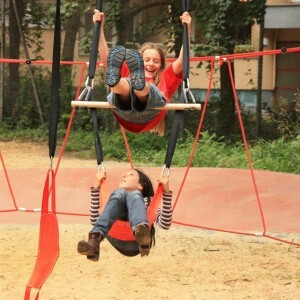 Participation of the users in the planning process is one of our main interests. 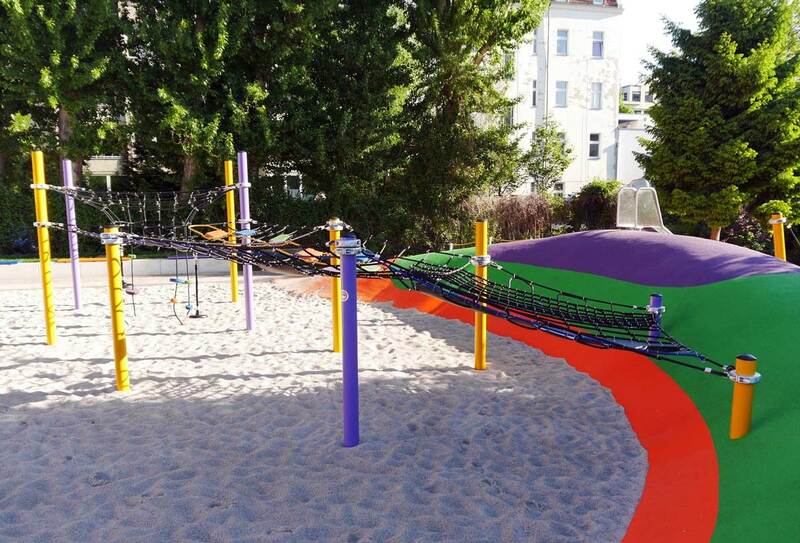 The new park at Heinrich-Roller-Straße was opened on June 1st, 2012. 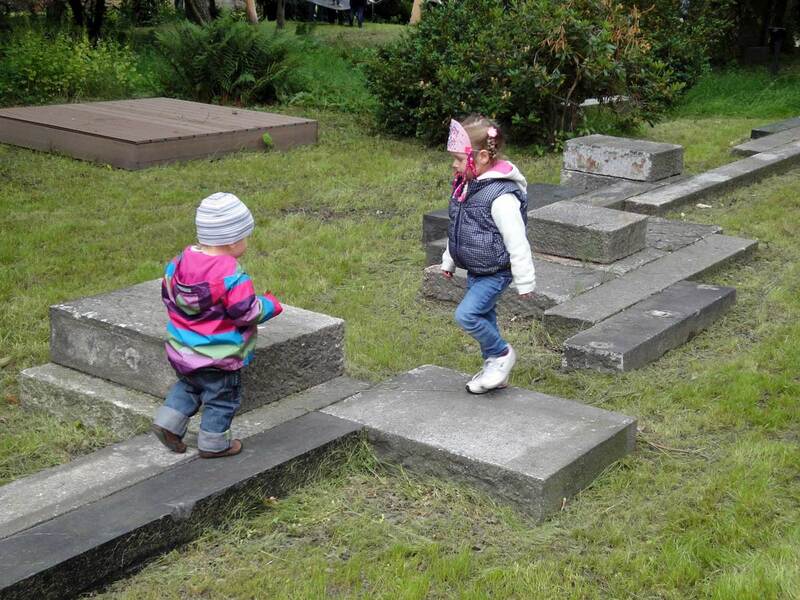 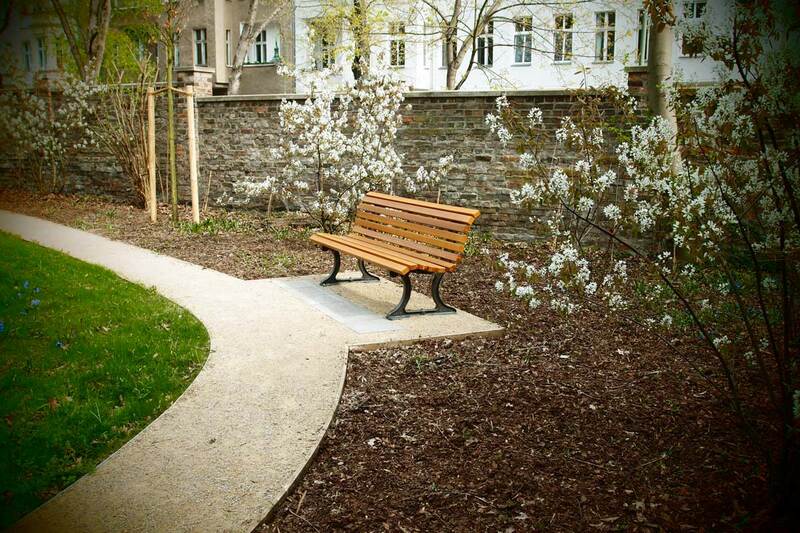 Incorporating parts of the old cemetery of St. Marien and St. Nikolai II, a new public greenspace of approx. 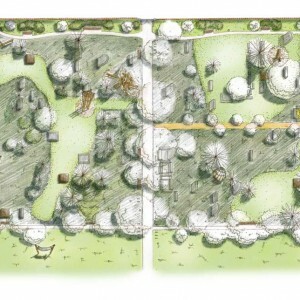 3.7 acres (1.5 ha) was created. 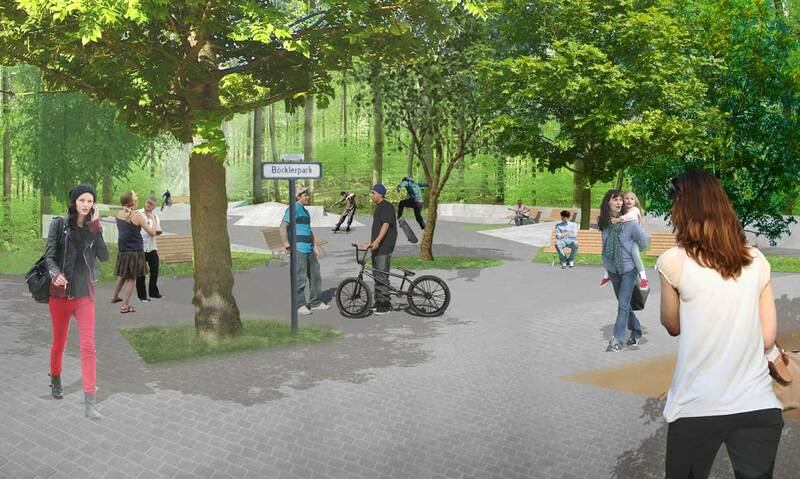 The new design aimed at a widely accepted solution that would bring long-lasting improvements to the neighborhood. 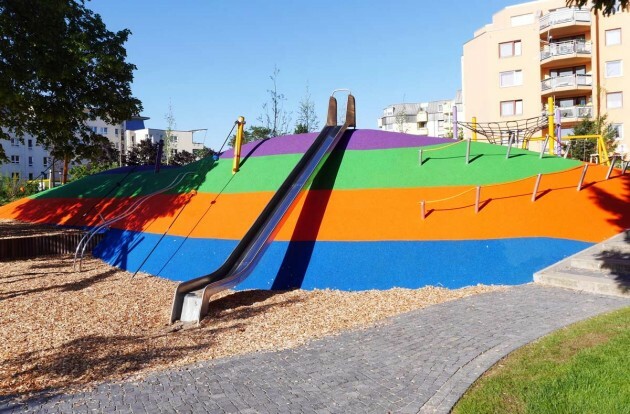 Therefore an intensive participation initiative accompanied the planning process, offering the chance to develop sound design ideals and a robust implementation strategy together with residents, interested local institutions and the authority in charge. 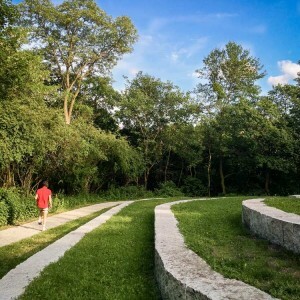 Aspects of the place that were widely viewed as worth preserving turned out to be traces of the former cemetery’s history and the partly wild, overgrown appearance as well as the existing flora and fauna in general. 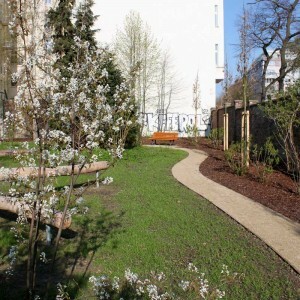 The creation of a tranquil retreat was another central wish expressed by residents. 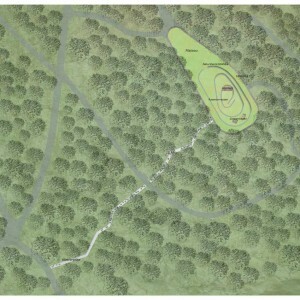 As a result, the new park layout integrates much of the current appearance and qualities of the area: the greater part of the former cemetery remain in their original state, the southern part of the park is left as a wilderness. 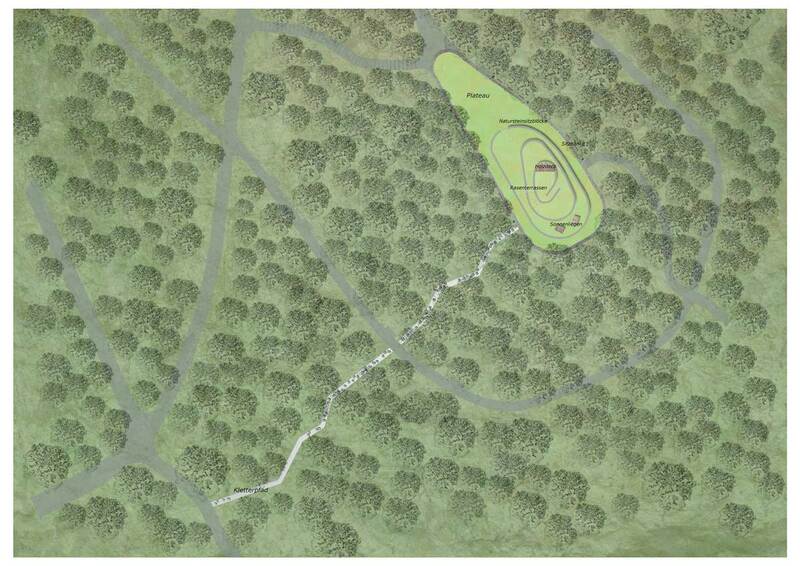 Only some maintenance measures and tree cutting had to be carried out for safety reasons. 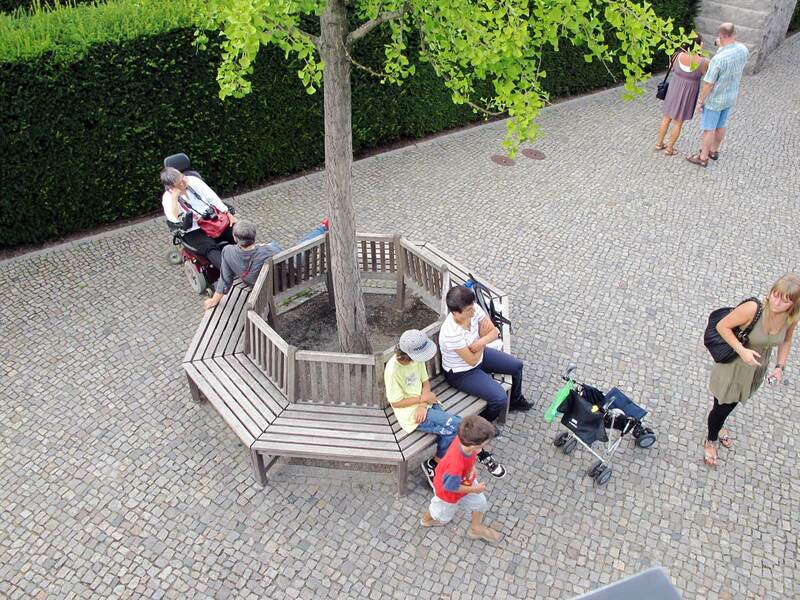 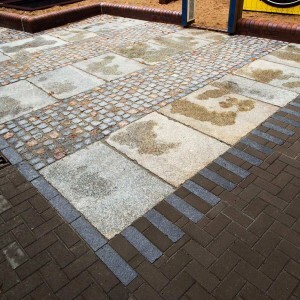 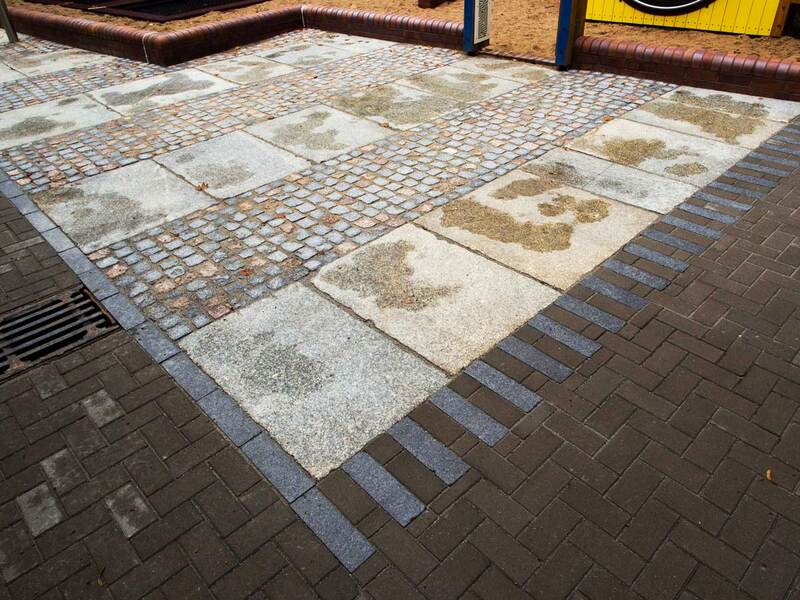 A new narrow circle path allows handicapped visitors full access to the park. 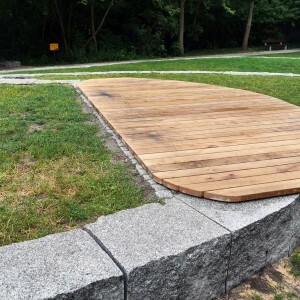 In the northern part, seating elements like benches and wooden platforms as well as playground features for climbing and balancing enrich this public space. 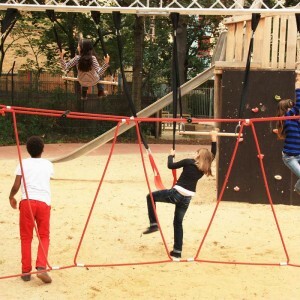 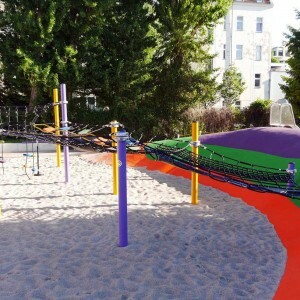 Based on the results of three public local public consultations and workshop events held in the nearby after-school center and family center on a 1,700-m² site at Letteallee 74a, a “colorful square”, an attractive playground for children of various ages was created. 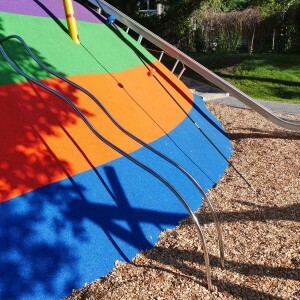 A colorful plastic hill equipped with a large climbing net, a trampoline, a long slide, a pole to slide down and three mountain climbing ropes form the central attraction and link two different levels in a playful way. 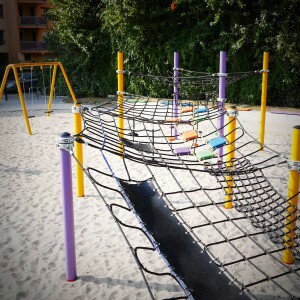 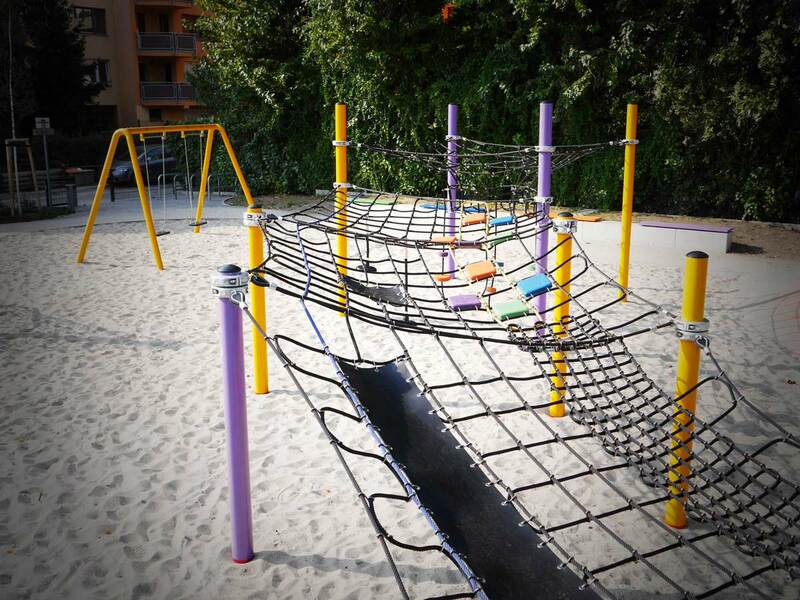 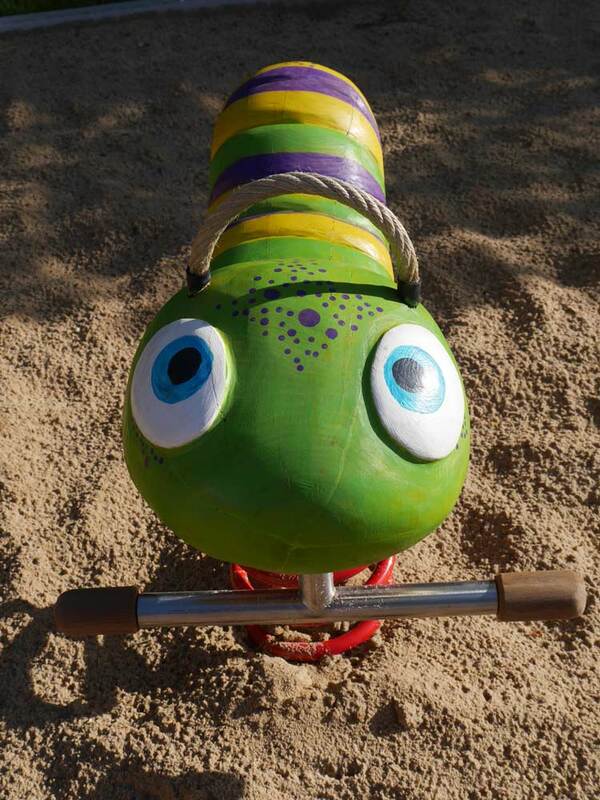 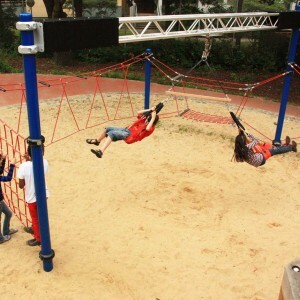 While the higher level with its large area for playing and ballgames, a carousel and large double swing offers plenty of play options for children aged 6 and over, a protected area on the lower level is especially equipped for younger children. 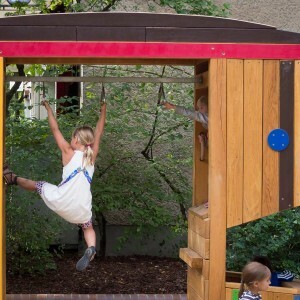 Here, as well as the playhouse with its barrier-free wooden platform, there are two small colorful wooden figures for climbing and seesawing on in the sand pit. 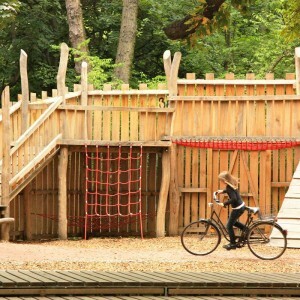 A tepee with various opportunities for climbing rounds out the range of playground facilities. 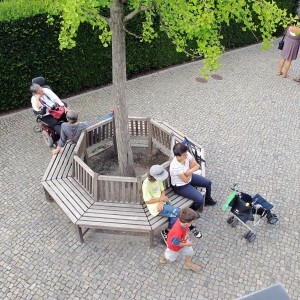 New trees offer shade and together with various seating areas create a pleasant place to play and for accompanying parents to linger in. 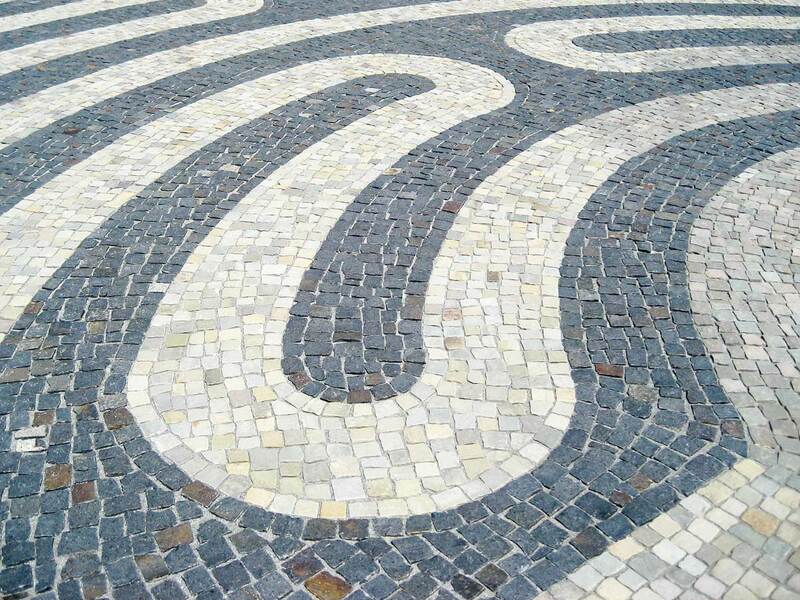 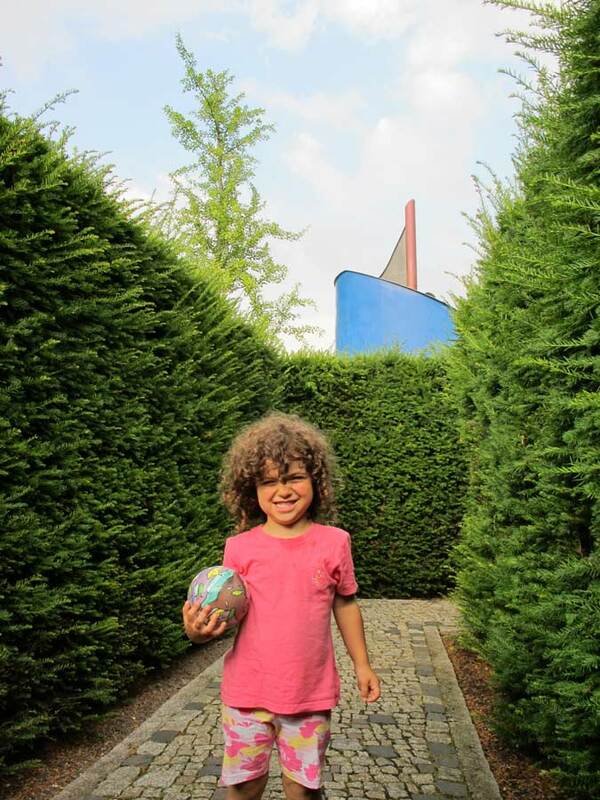 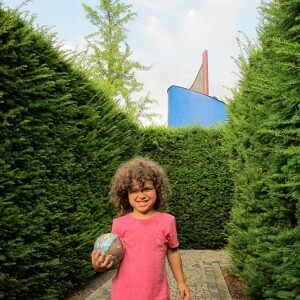 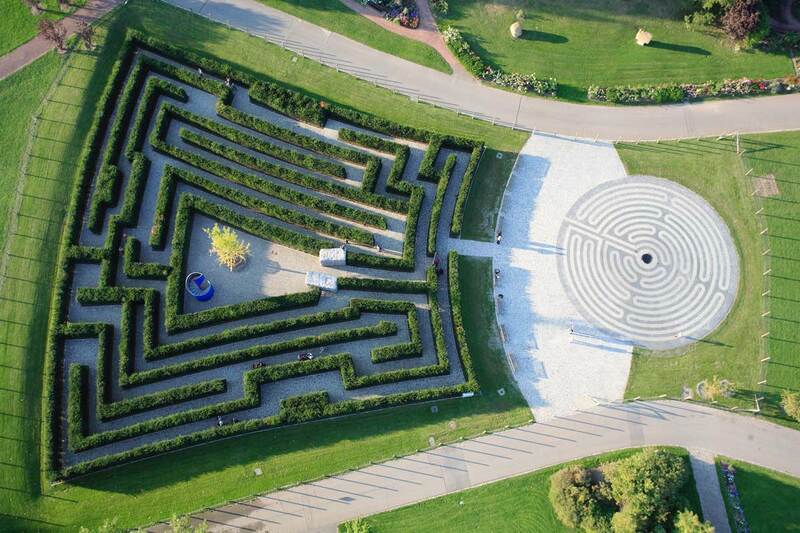 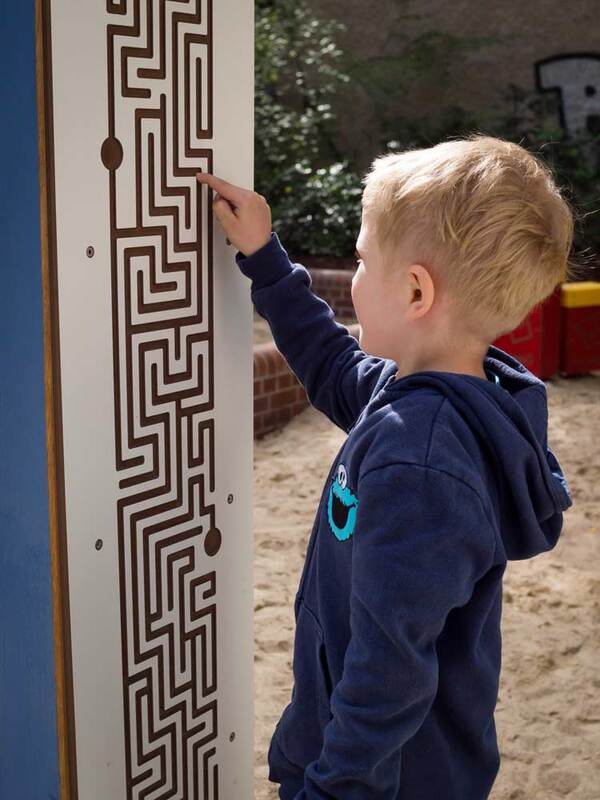 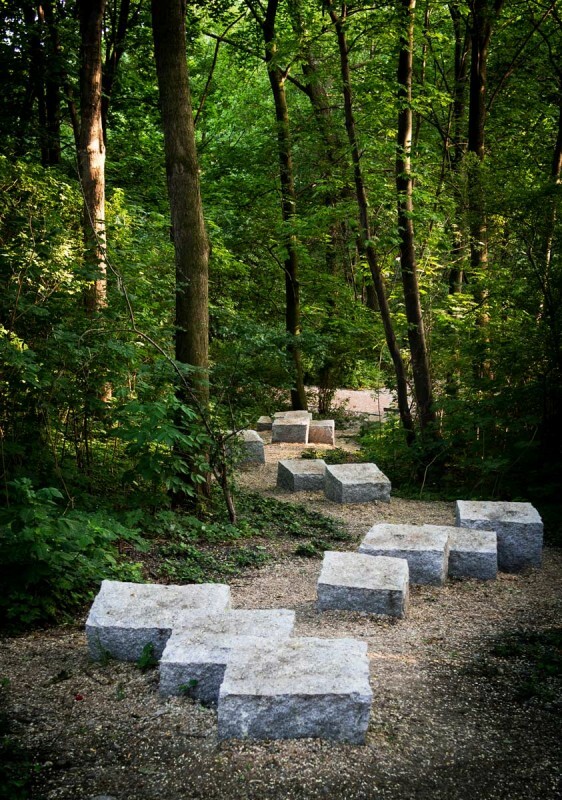 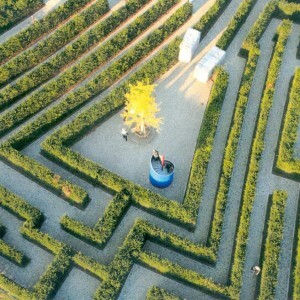 gruppe F created a hedge maze and a paved stone labyrinth in the recreational park in Berlin-Marzahn as contributions to the Gardens of the World, representing exemplary aspects of European garden culture. 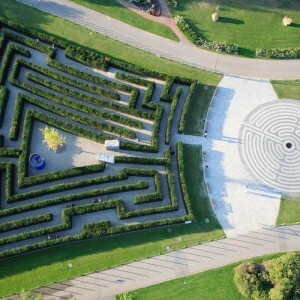 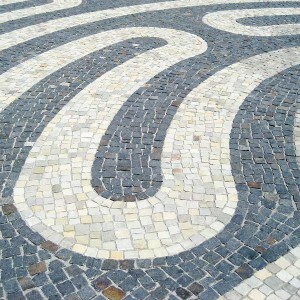 By opposing maze and labyrinth, the creation offers two very different experiences to the visitor: one is an individual, introverted walk along the multiply wound line of the labyrinth that however finally leads to its ending, the other lies in the rather extroverted, communicative joy of passing through a maze with its side exits and dead ends where reaching the center always requires new decisions with each turn. 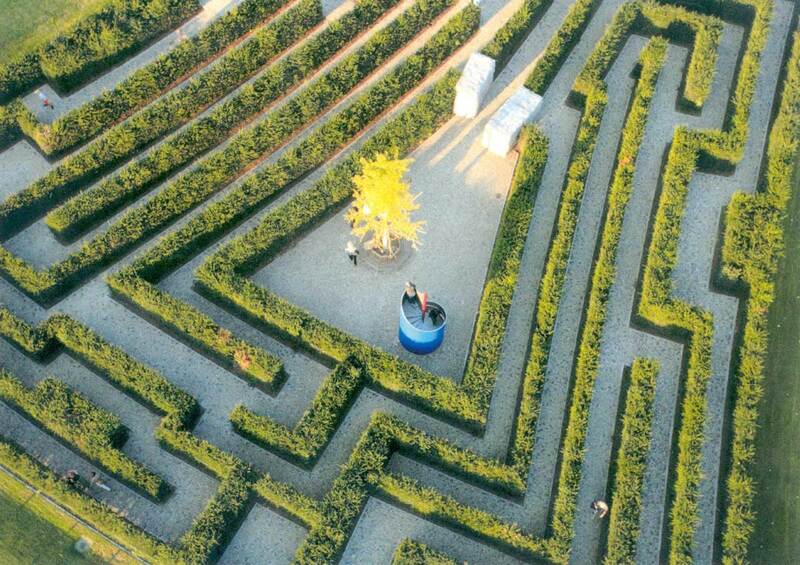 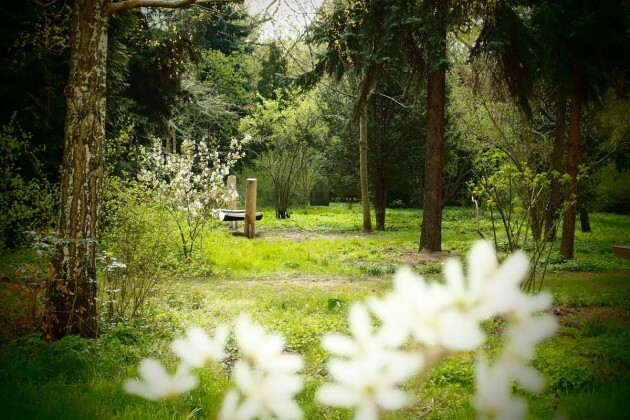 The maze of hedgerows is inspired by the maze in the royal garden of Hampton Court near London. 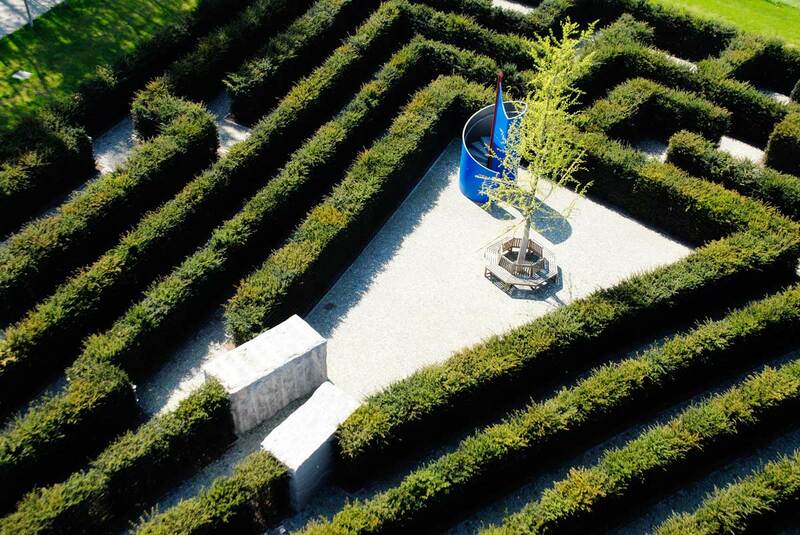 This maze was created at the turn of the 17th century and is viewed as one of the oldest and best preserved mazes of its kind throughout Europe. 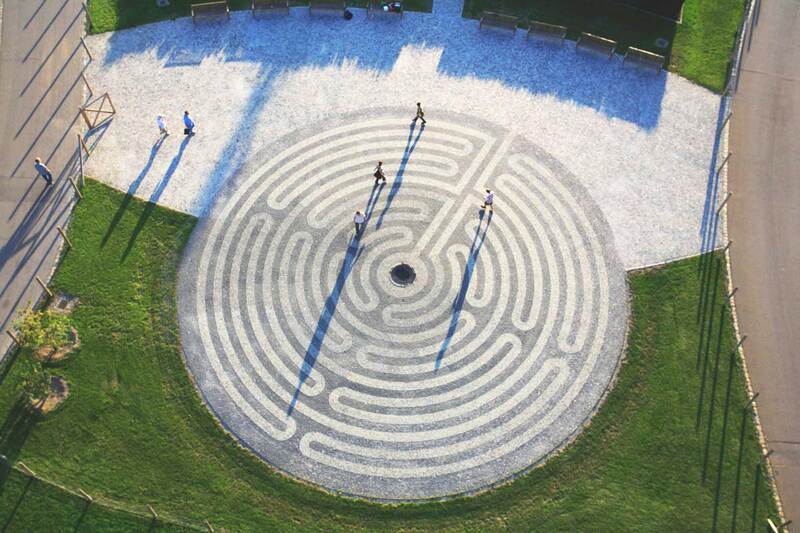 The ideal of the labyrinth is based on the gothic paved labyrinth of the Chartres cathedral in France which is over 700 years old. 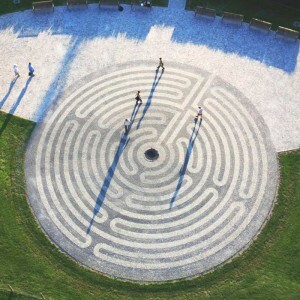 It served as a model for many more labyrinths in churches, which is why this type is also called the “Christian labyrinth”. 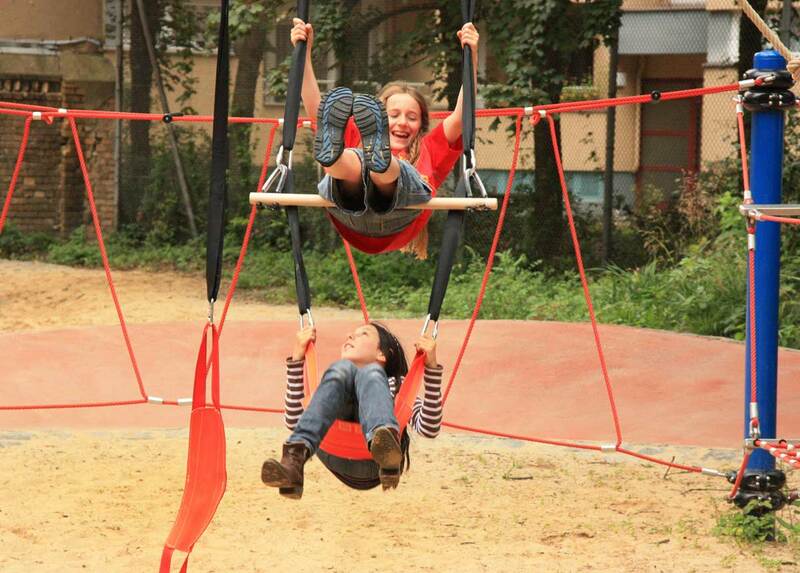 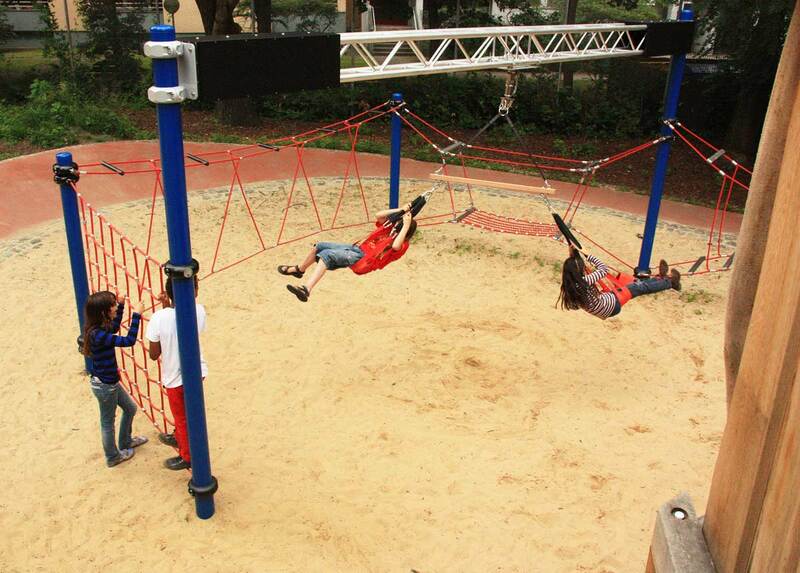 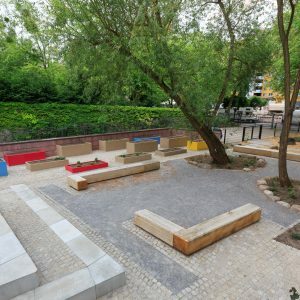 The redesigned outdoor area of the after-school care center of the Nürtingen School in Berlin was opened to the children with a huge celebration. 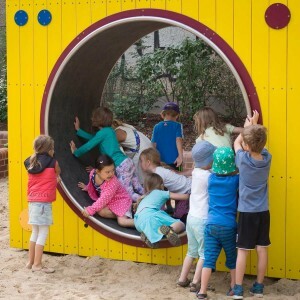 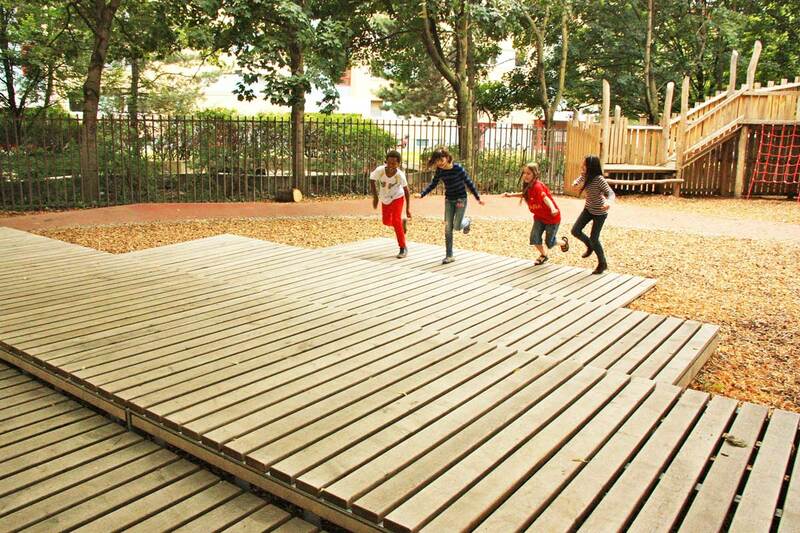 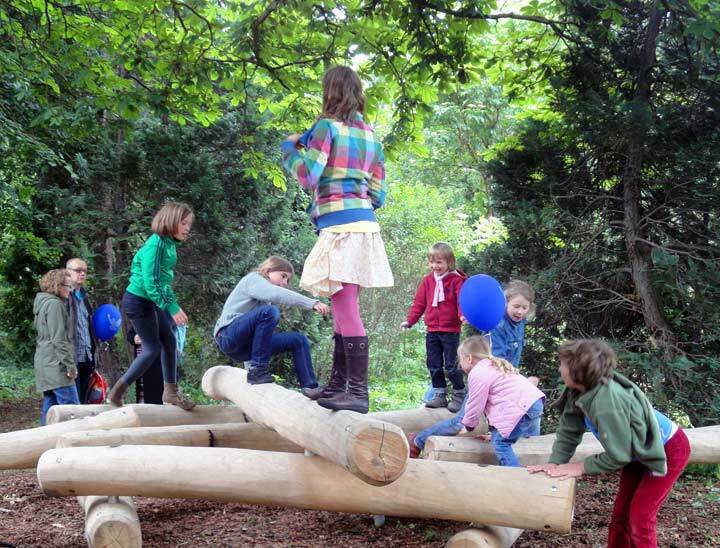 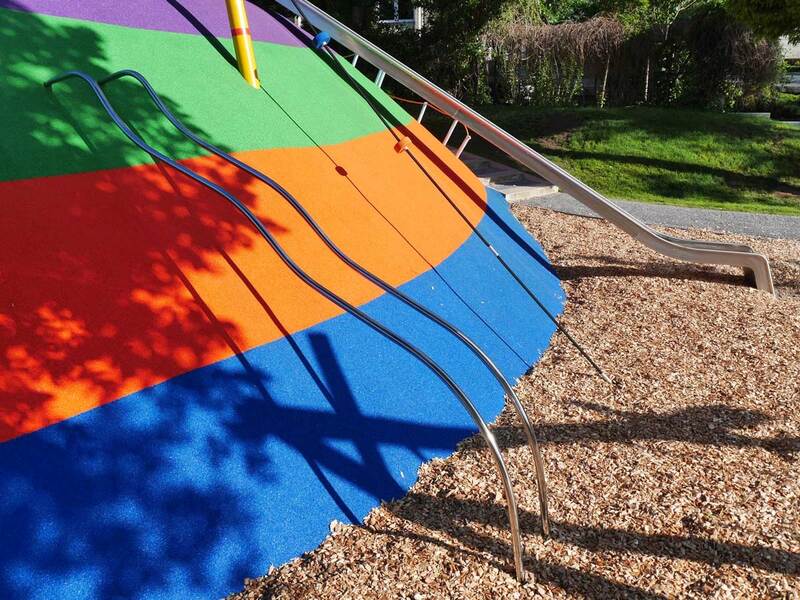 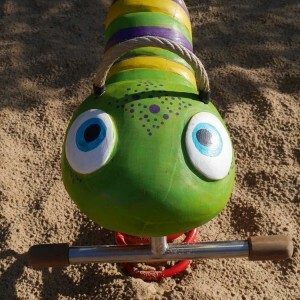 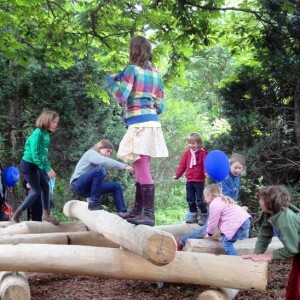 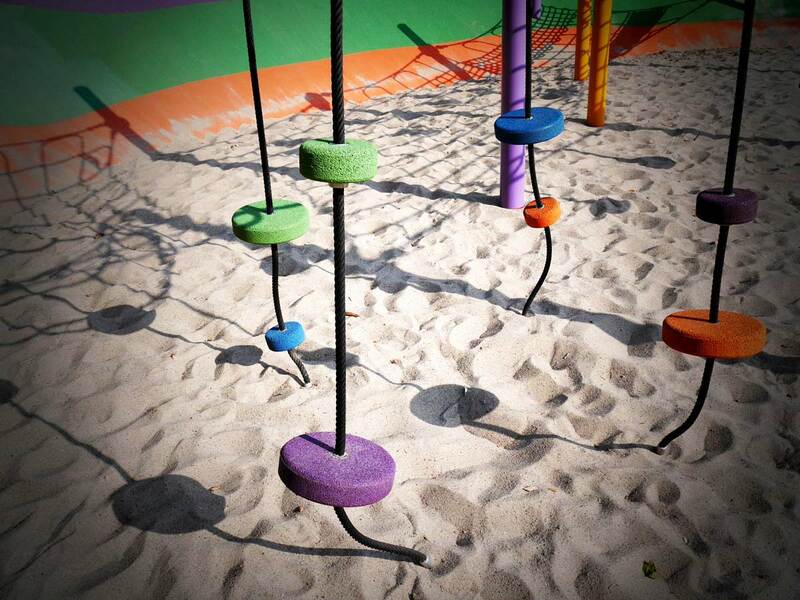 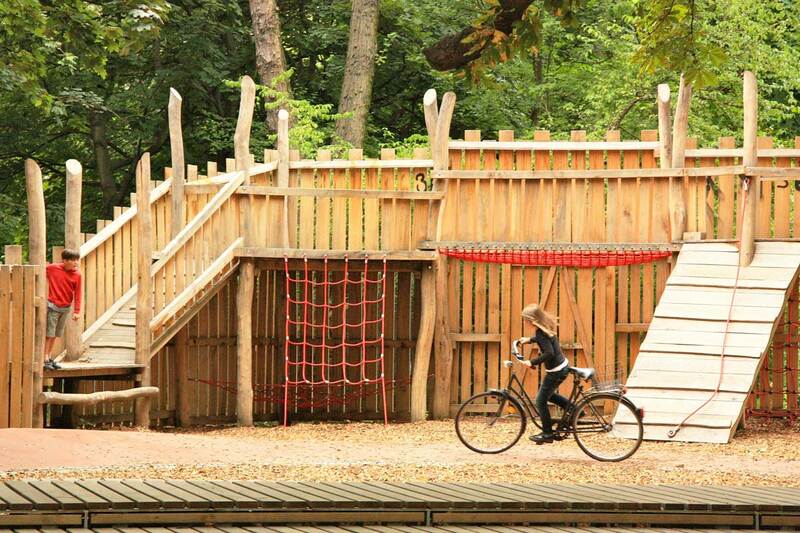 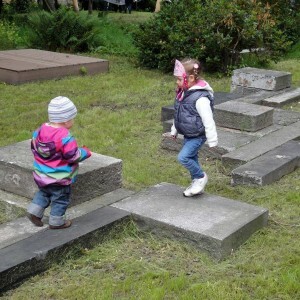 The design hinges on the idea of a “building playground” where children create new playing experiences each time while building something by themselves with versatile playground elements. 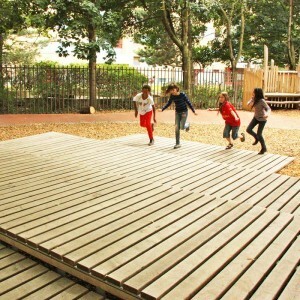 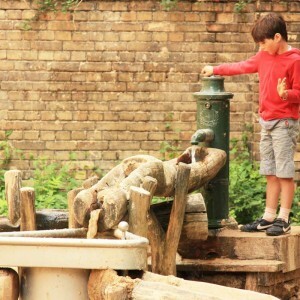 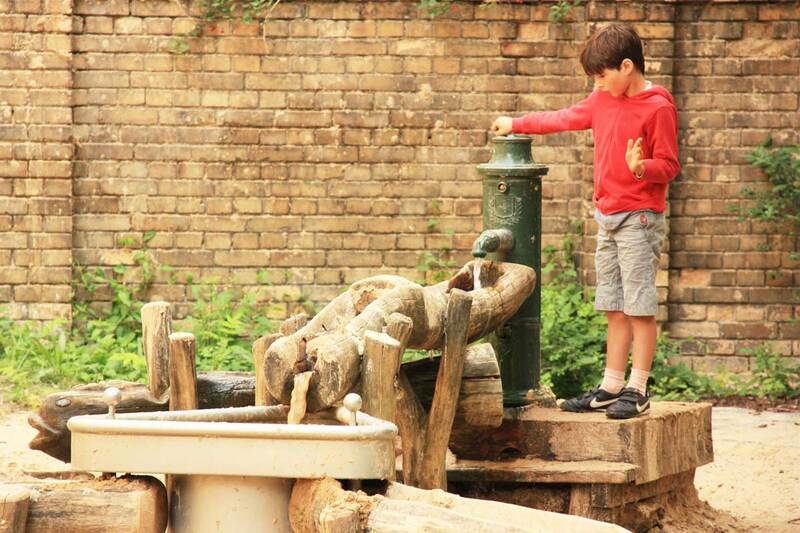 The idea relies on the attraction of change and its appropriation by the children. 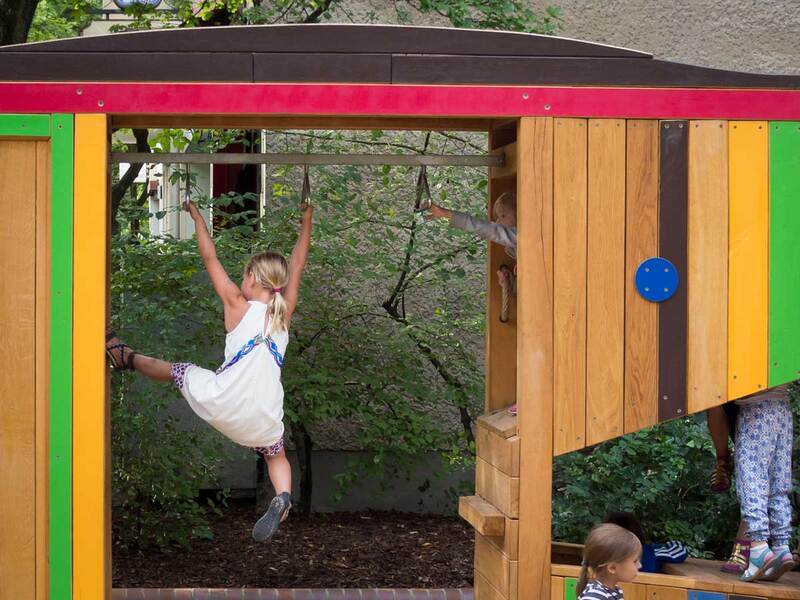 A robust basic structure composed of playing equipment like swings, slides, hammocks, climbing objects and two big tree-houses can be complemented by the children with the elements of a so-called “magic kit” – a shed where the building elements are kept. 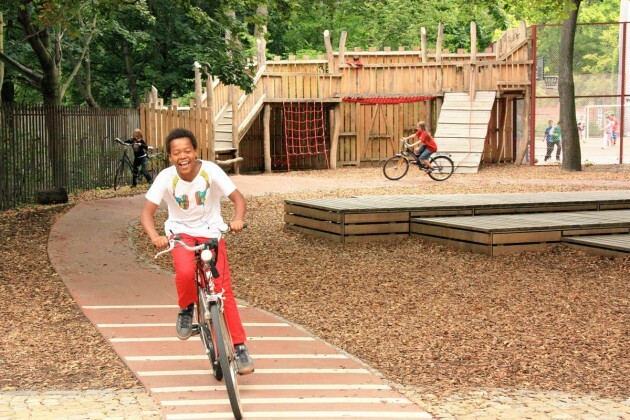 The courtyard is structured by a wide red tarmac loop, an area for sports and romping completed by a wooden deck and a climbing track. 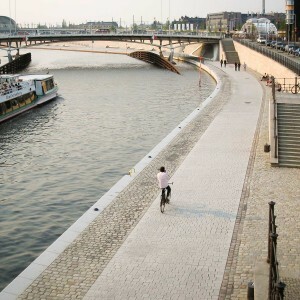 As part of the “Capital City Berlin – Parliament and Government District” development measure, a conceptual design for an urban planning framework for the Humboldthafen area was drafted that combines publicly accessible riverbank promenades with arcaded buildings to create a high quality urban space. 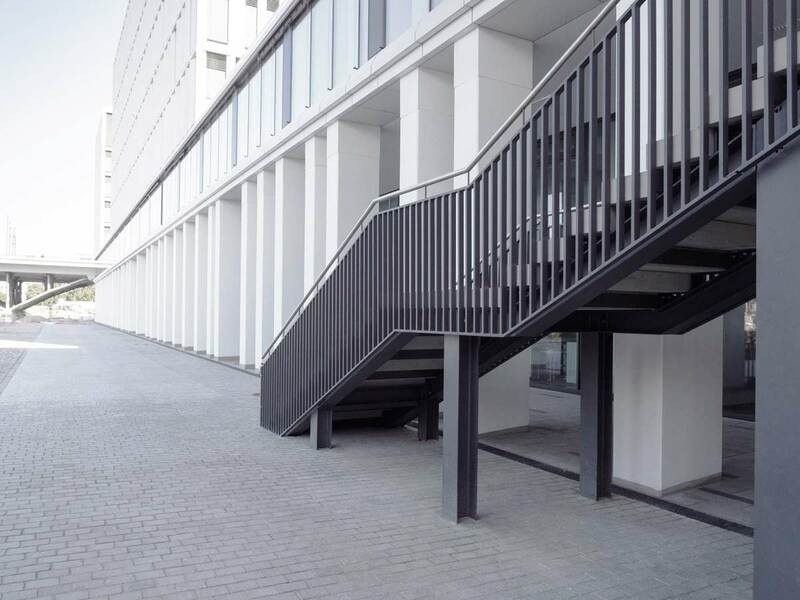 The HumboldtHafenEins building is the first to implement this concept. 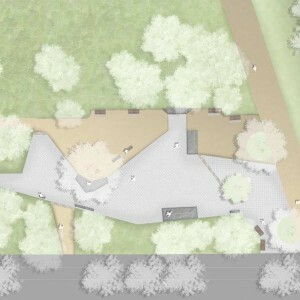 Other important elements in its overarching conceptual design are the riverbank promenades adjoining the arcades, a courtyard open to the public that traverses the building, and the stairs that provide the public with direct access to the Hugo-Preuss Bridge and the riverbank promenade and arcades. 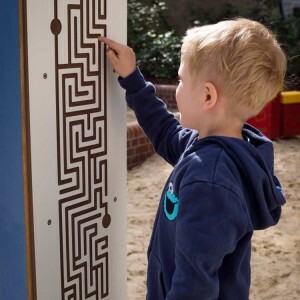 The Tempelhof-Schöneberg local authority renewed a small playground in the Berlin district of Friedenau with funding from the “Kita- und Spielplatz Sanierungsprogramm” (KSSP), the kindergarten and playground renovation program, and gruppe F Landschaftsarchitekten were commissioned with its conceptual design, planning and construction management. 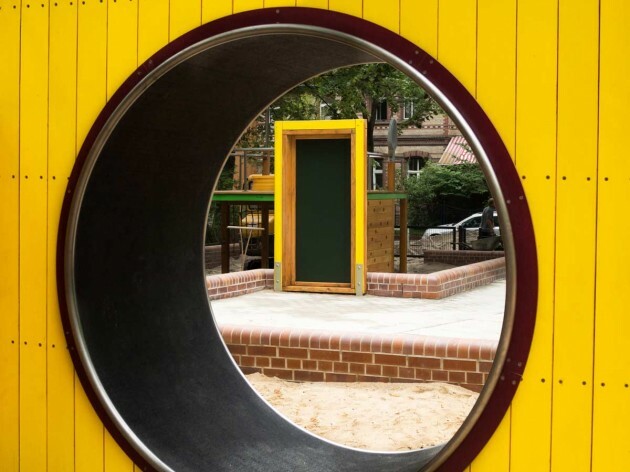 The local authority stipulated the playground’s theme: a playhouse with different rooms. 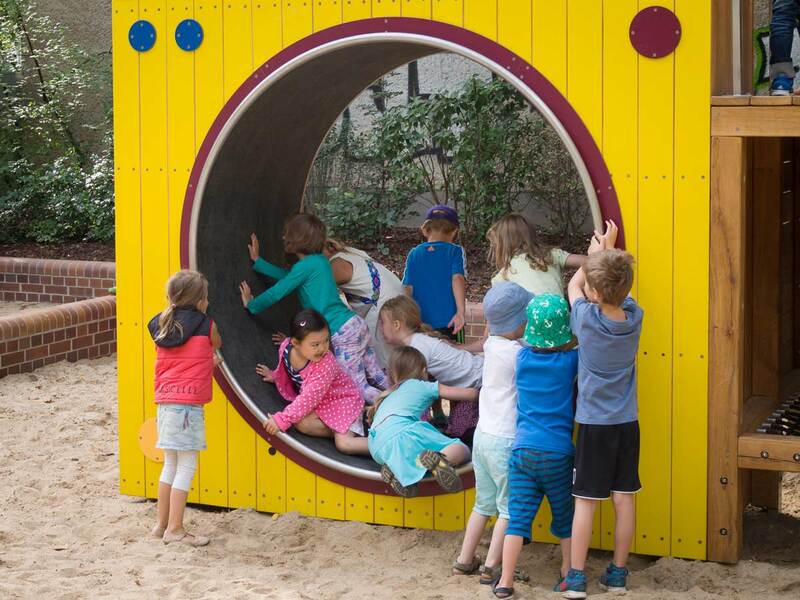 Children can now actively play, climb and hide in, on and around the house’s oversized furnishings, which include beds and cupboards, a table and chairs and a washing machine. 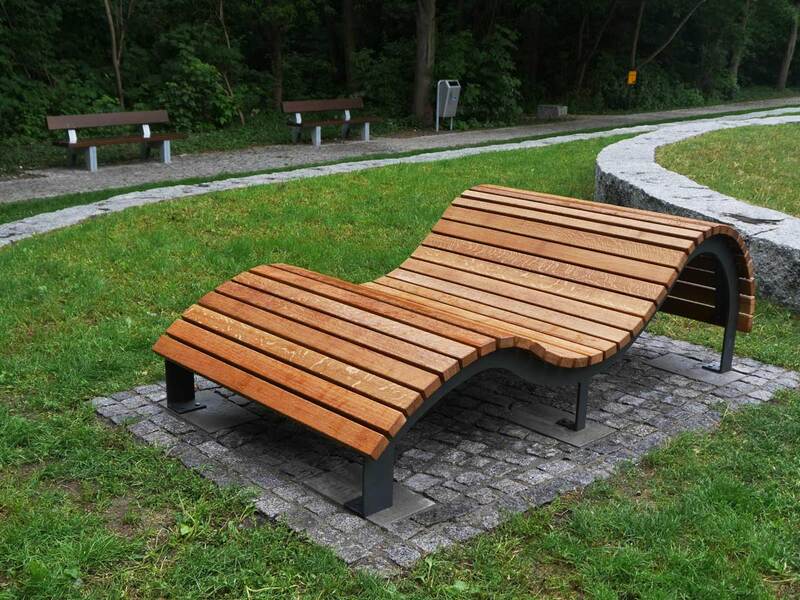 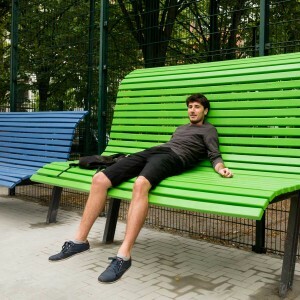 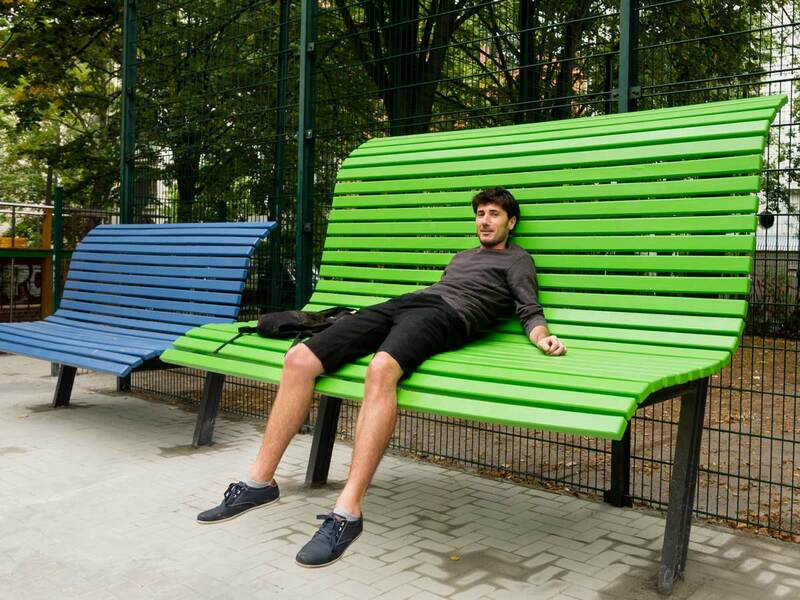 On huge benches, you can sit and take a breather or just watch the action. 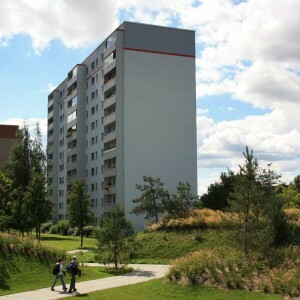 After five huge residential buildings made with precast concrete slabs with a total of 262 flats were knocked down in the Schorfheide quarter of Berlin-Marzahn wide open spaces were left in its built structure. 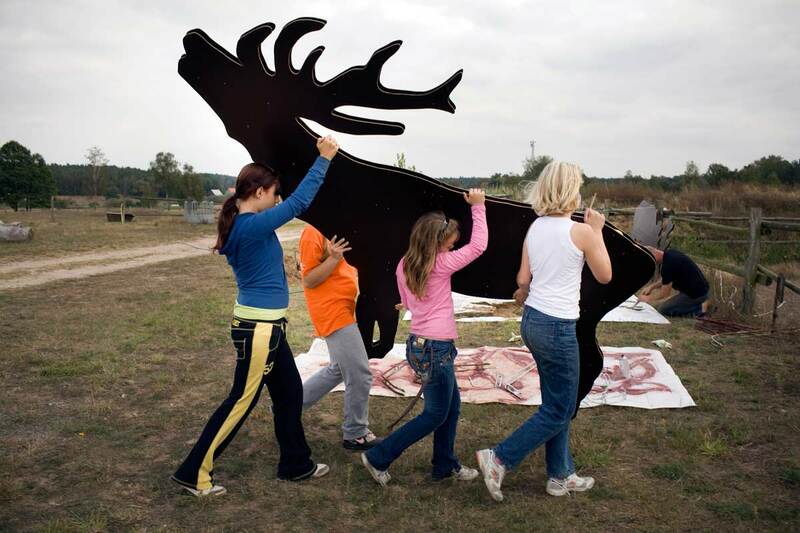 The remaining residents were anxious about what would happen next. 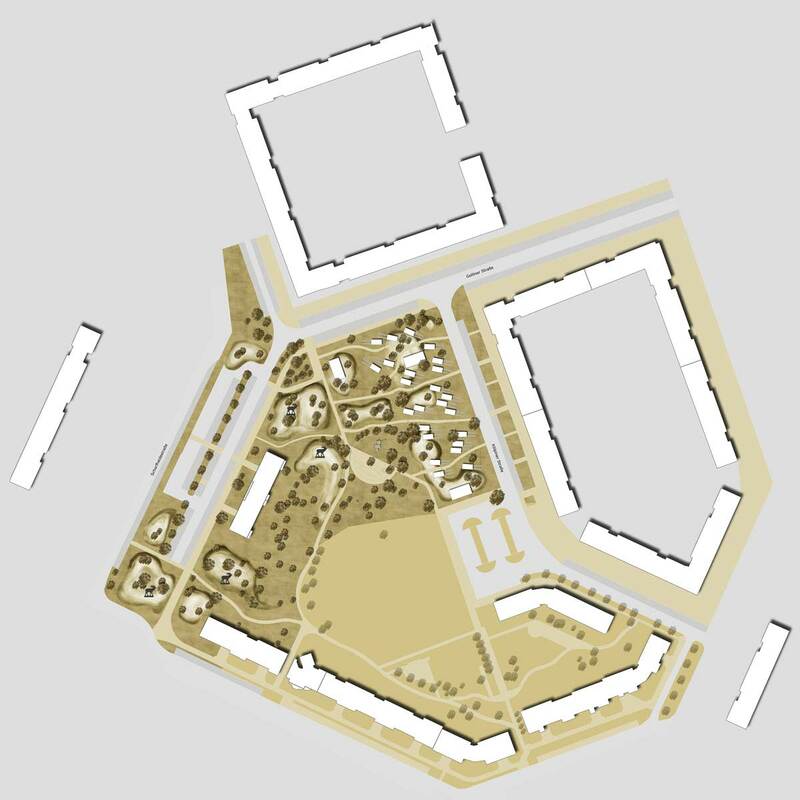 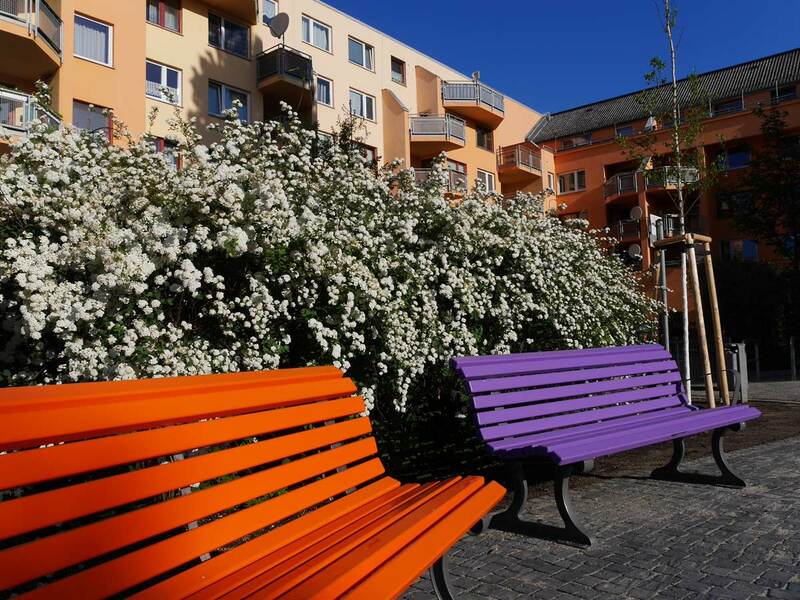 To put the new open spaces to the best possible use that would be beneficial for all and foster the corporate feeling of residents, in 2007 a charrette process was induced to determine the future of the Schorfheide quarter. 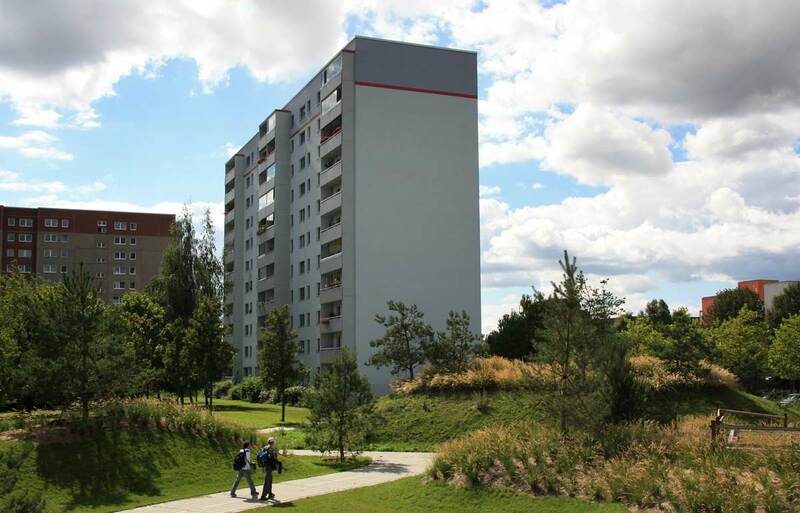 Over 200 people participated and together with the planning team of ts redaktion and gruppe F as well as local stakeholders developed ideas for future uses of the former building lots. Residents furthermore concluded: “Let‘s the Schorfheide be the guiding design principle for our neighborhood!” Earth mounds of up to three meters height were created in line with the existing topography. 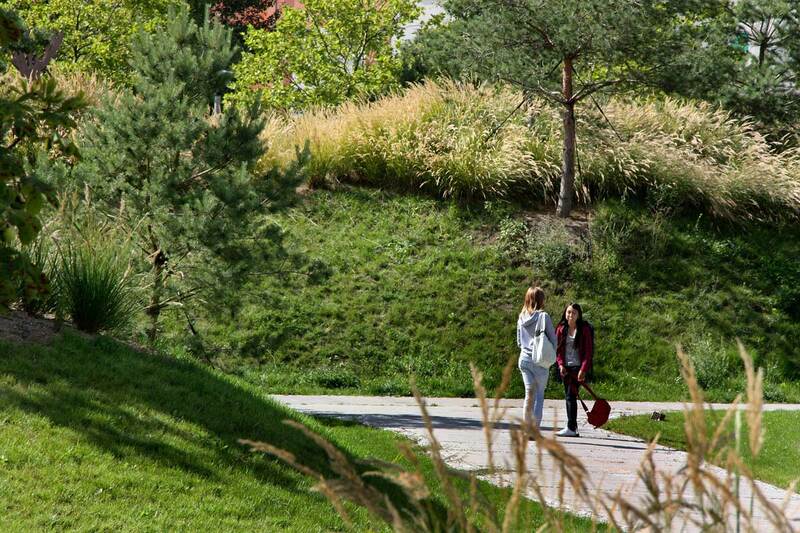 Parking lots got partly demolished and turned into mounds planted with grass. 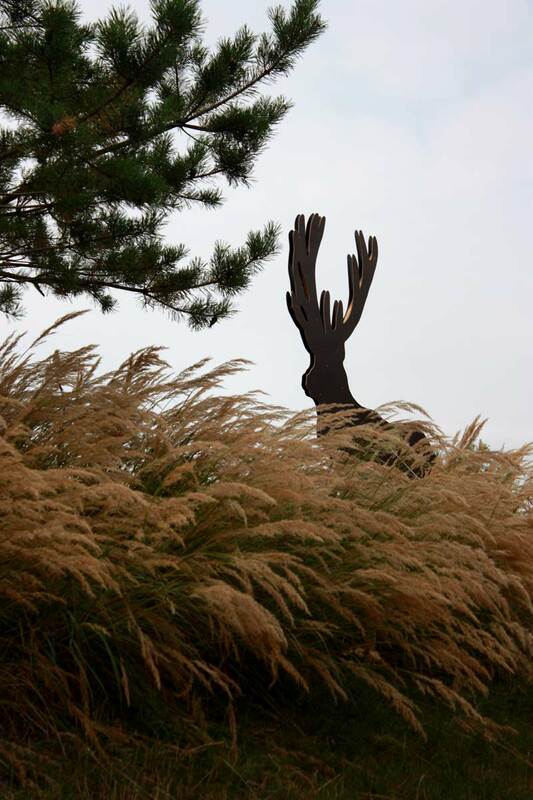 Tall grasses and pine trees accentuate the hilltops. 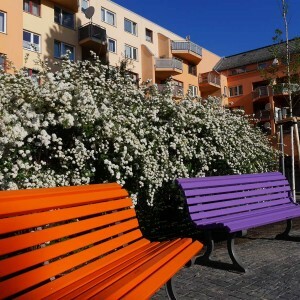 In spring the hillsides are covered with colourful tulip blossoms. 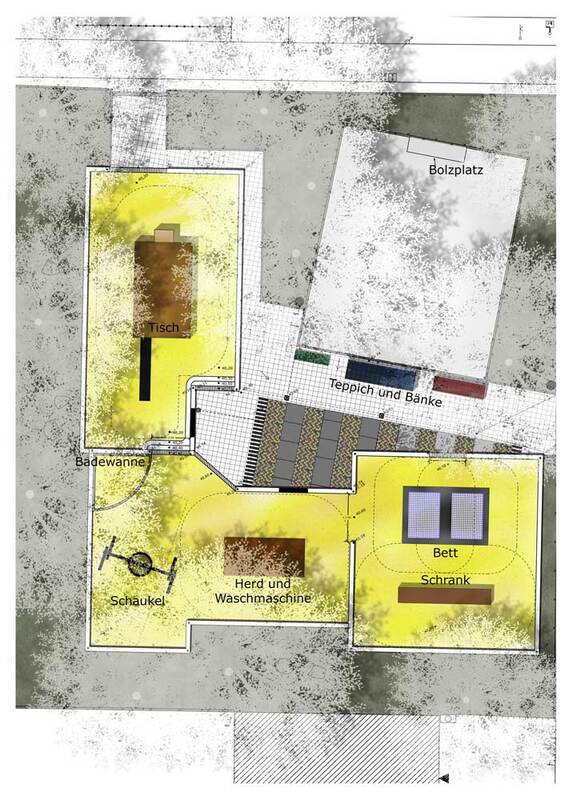 24 multifunctional ’boxes’ were installed, organized like a flock of sheep from the Schorfheide, that can be used by residents as garages or storage rooms as well as recreational rooms. 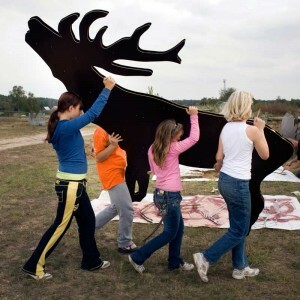 Finally, the stag was selected by residents as an ironic image people can identify with. 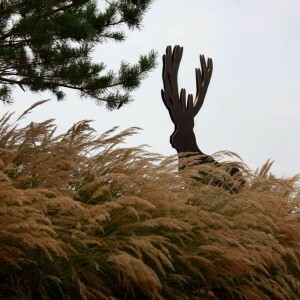 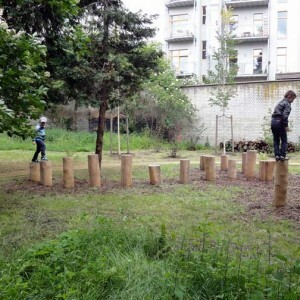 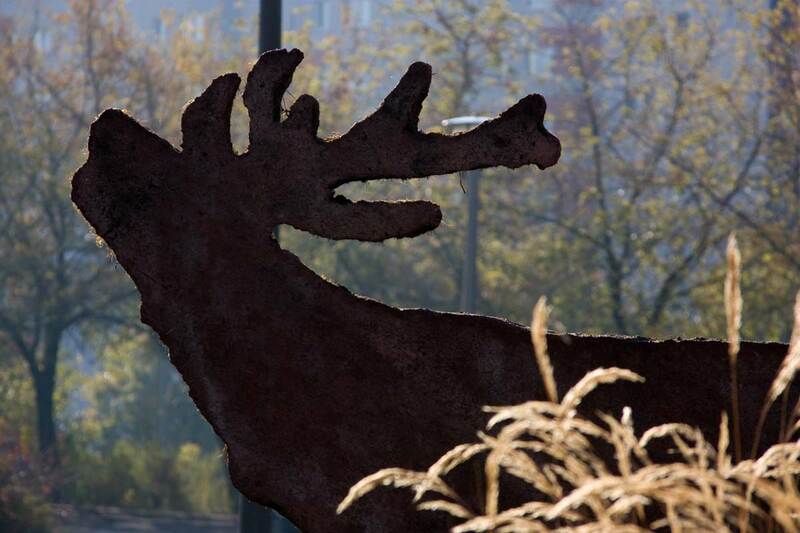 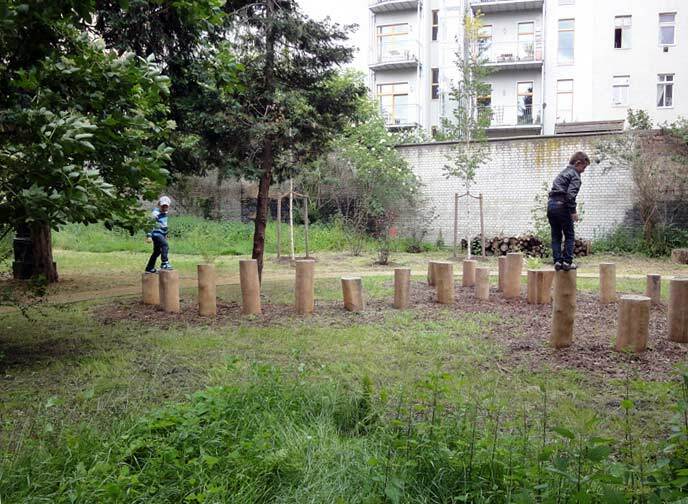 Joerg Schlinke won the corresponding art competition and in close teamwork with interested residents designed four concrete stag sculptures that now populate the green space. 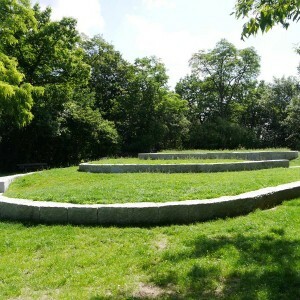 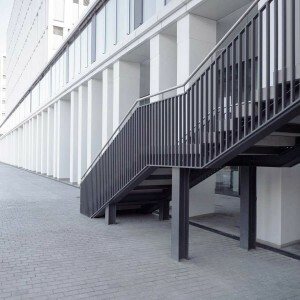 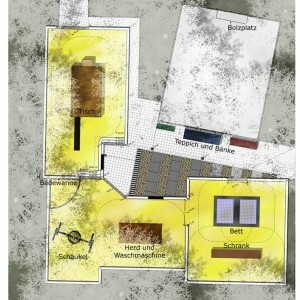 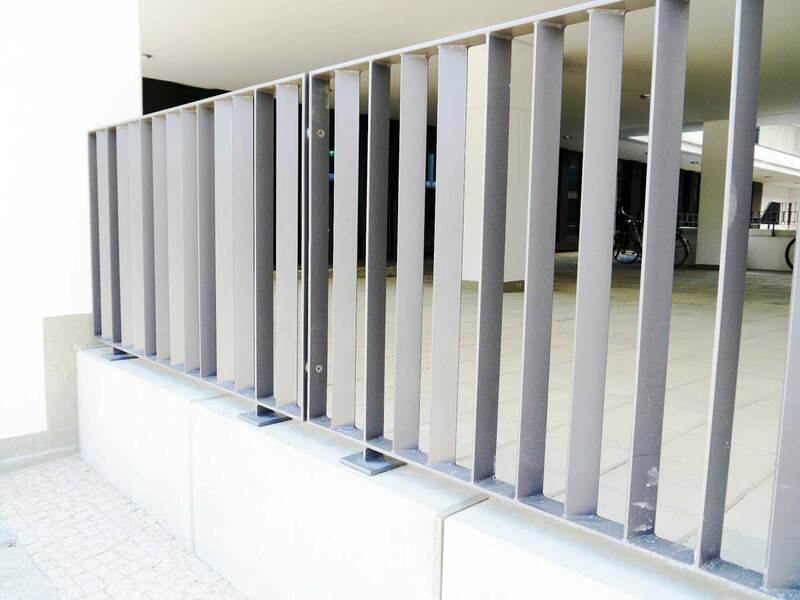 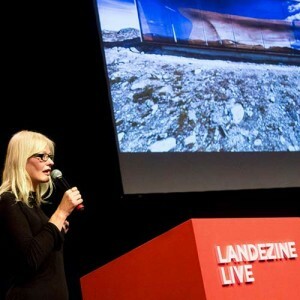 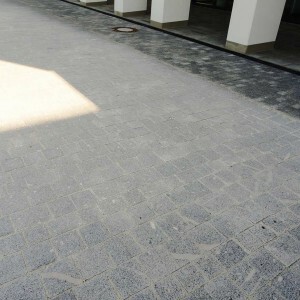 gruppe F won for the design of the quarter the German Landscape architecture Prize 2011. 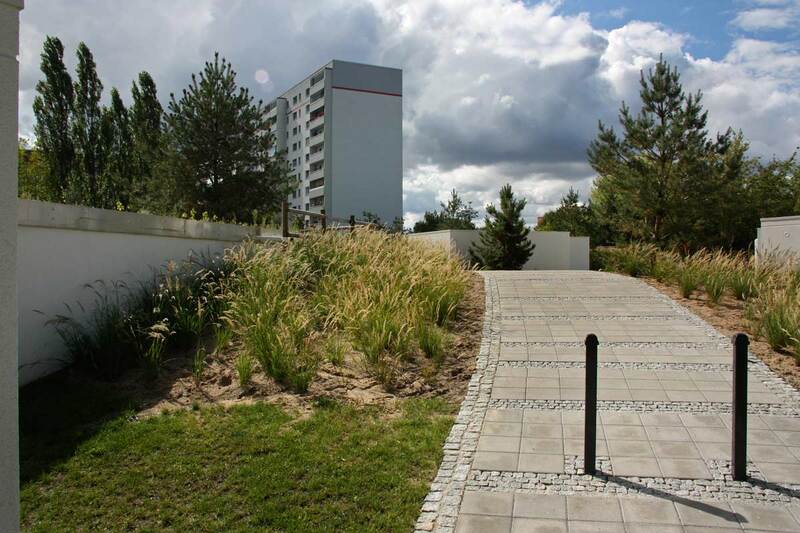 The “Suedplateau” is located in the southern part of the Fritz-Schloss-Park in Berlin-Moabit. 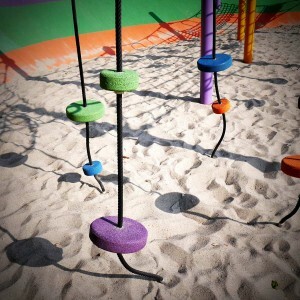 Despite its sunny and quiet location, it was only rarely used by local inhabitants. 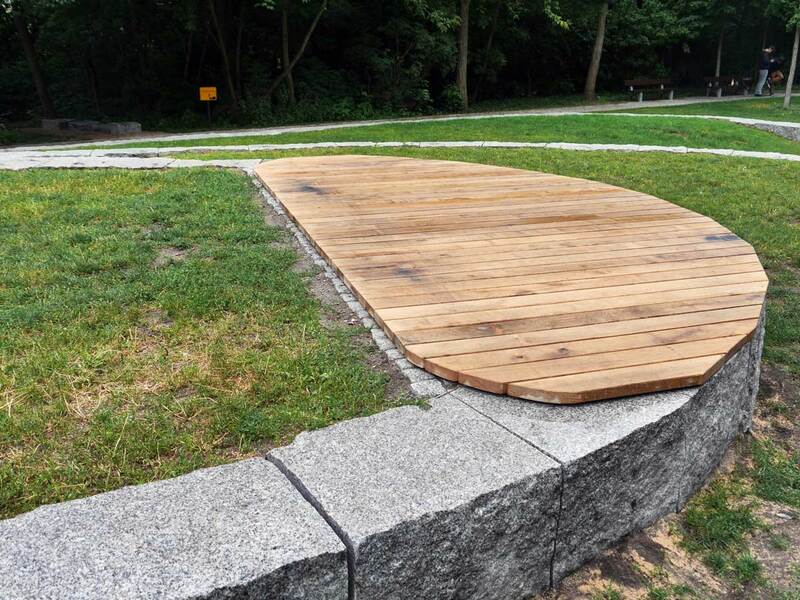 In order to strengthen the special amenity value of “the clearing on the hill”, three lawn terraces are built. 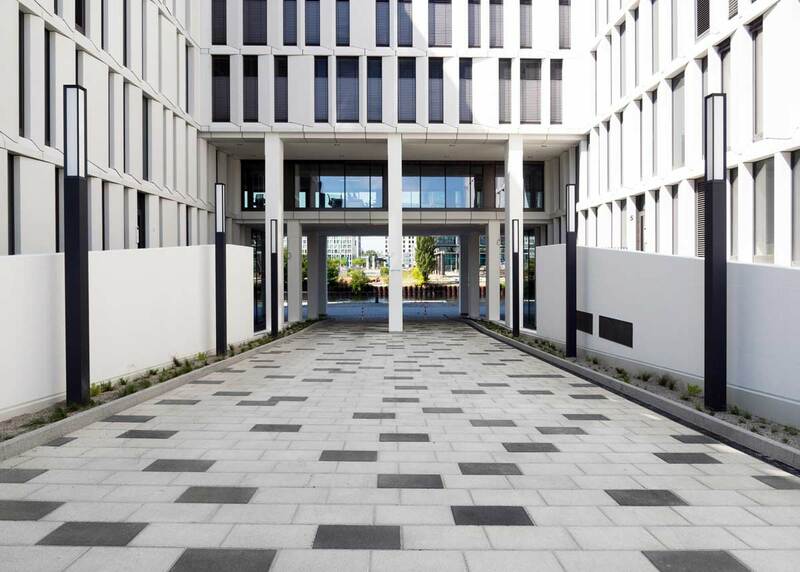 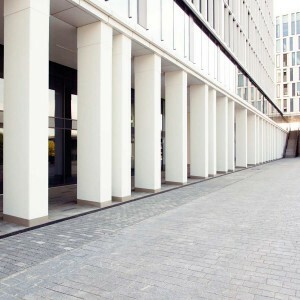 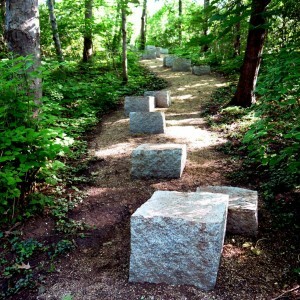 They are framed with granite blocks and serve as areas for seating and movement. 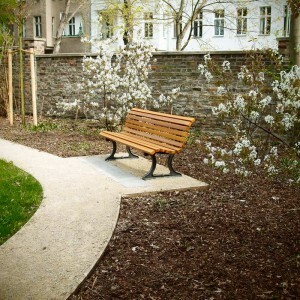 A narrow paved pathway surrounds the plateau and is equipped with benches and rubbish bins. 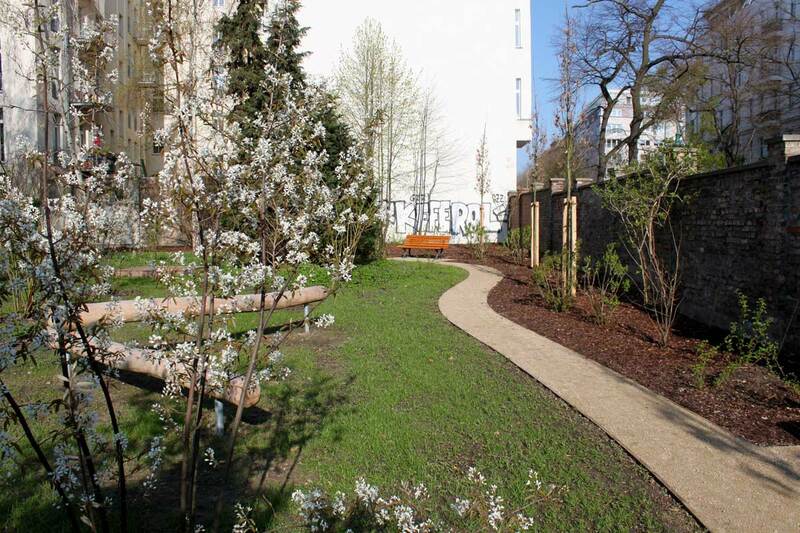 In addition, a large wooden deck and two deck chairs are placed on the lawn terraces. 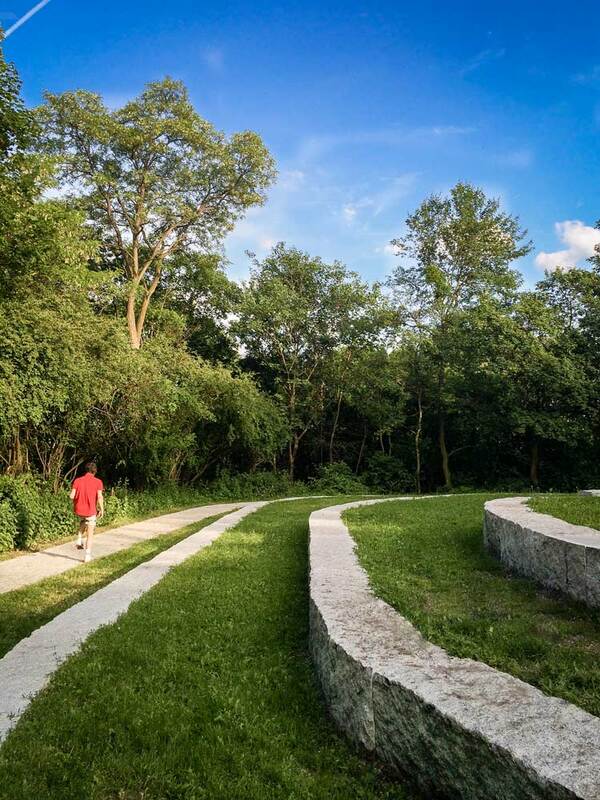 A new narrow climbing path is established as a sporty and playful short cut up the hill from the south-western part of the park. 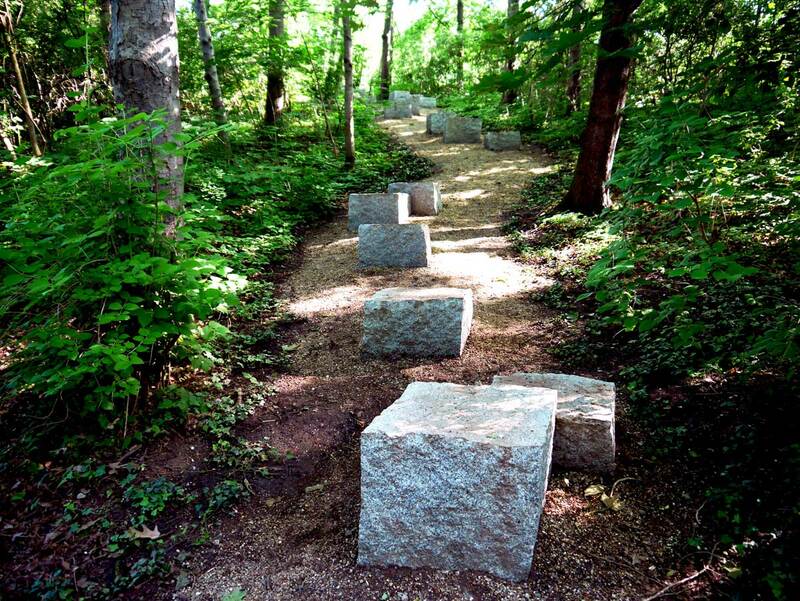 Boulders and high granite blocks invite to jump and climb and secure the steeper path sections. 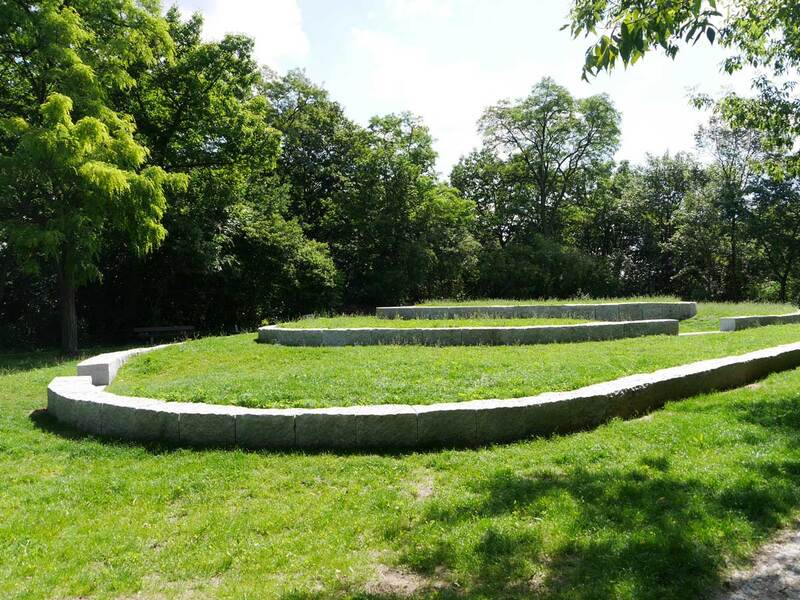 One outcome of the charrette process carried out by gruppe F Landschaftsarchitekten for the Böcklerpark in 2013 was a concrete plan for re-structuring eight sections of the park. 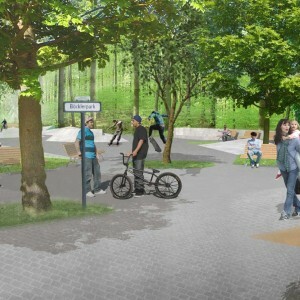 One of the ideas that was further developed was for a city square and skatepark to replace the old park entrance, which was narrow, dark and not very inviting. 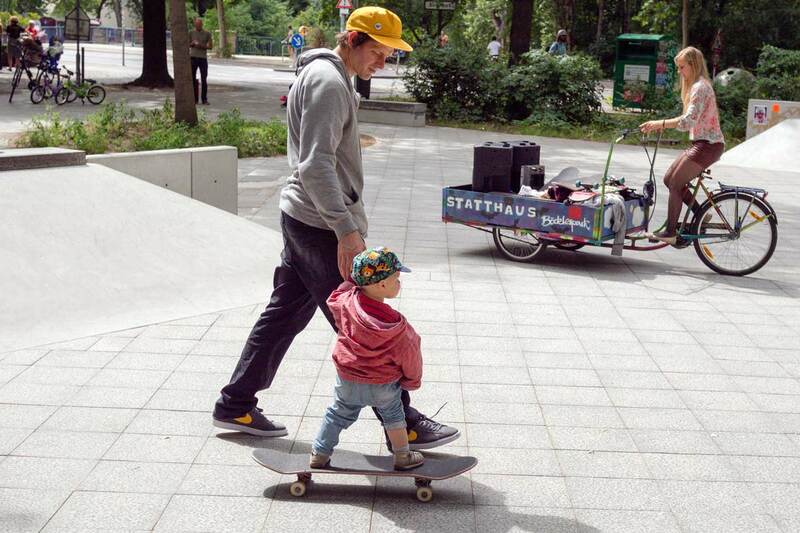 Close cooperation with experienced skaters formed a basis for this development. 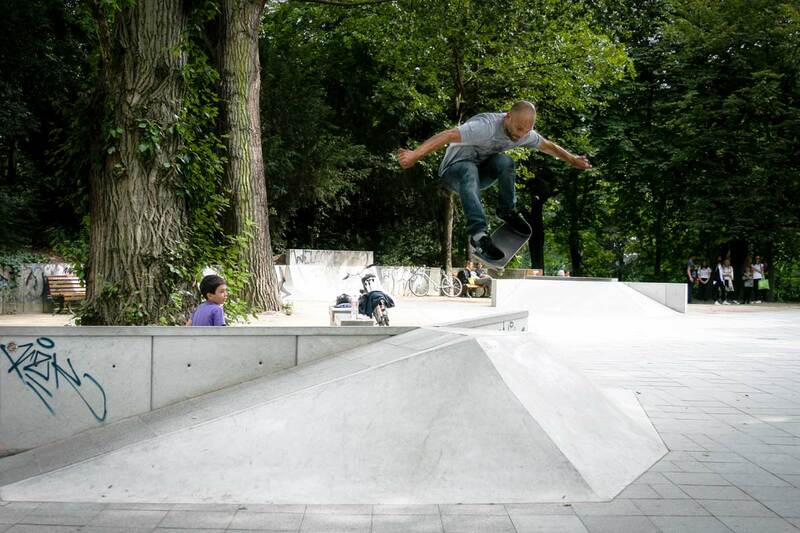 The space’s structure, with skate elements with different degrees of difficulty, was decided on in several rounds of planning. 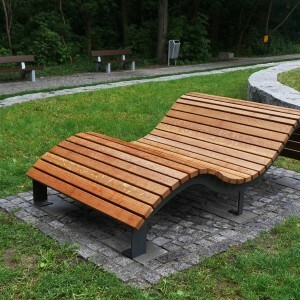 Benches were installed to invite skaters, spectators and passers-by to linger so they can now all use the space equally. 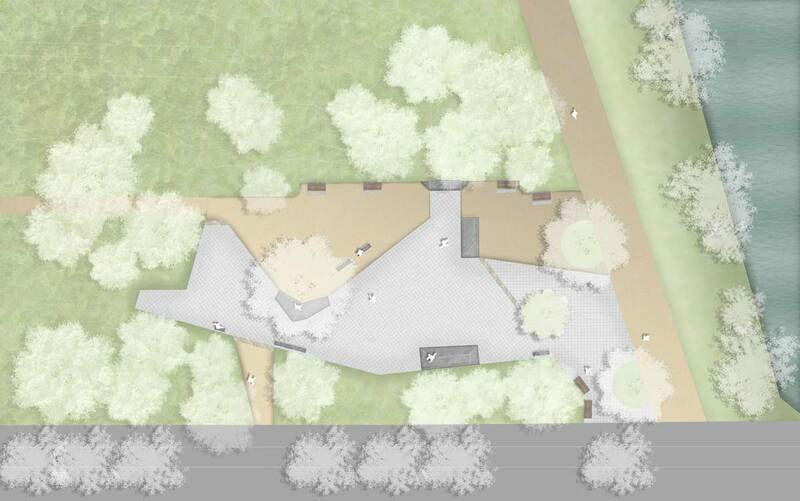 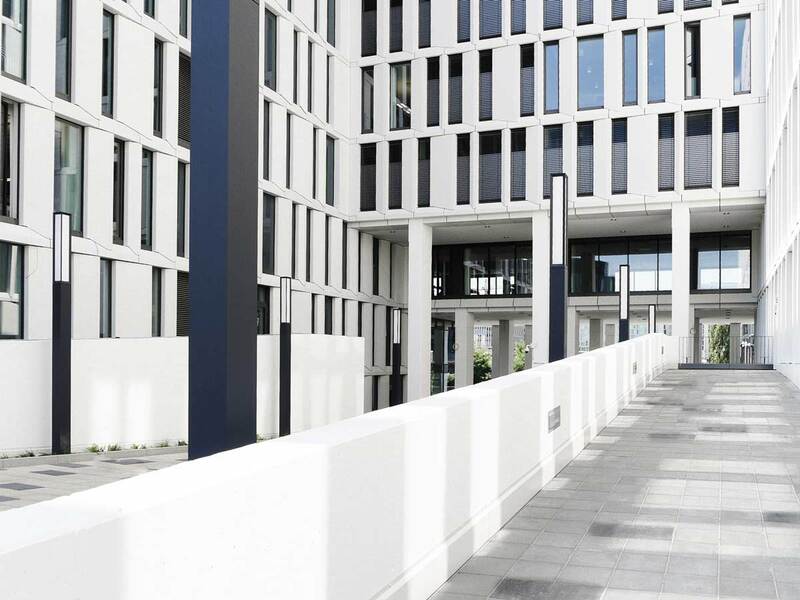 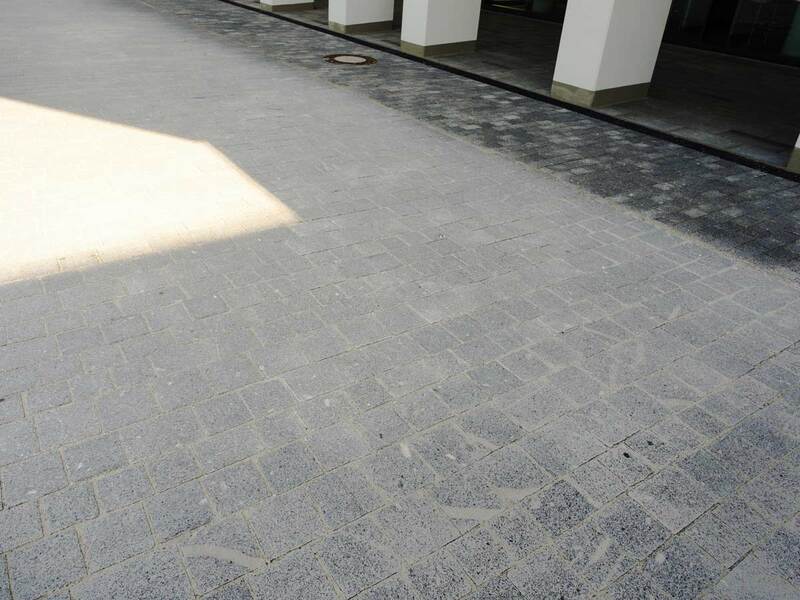 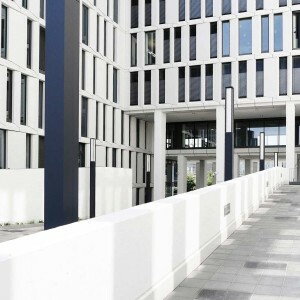 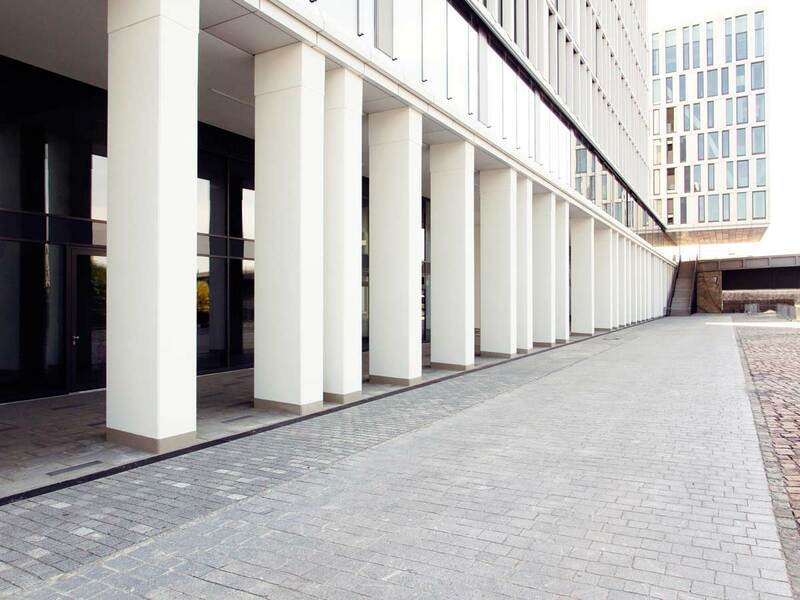 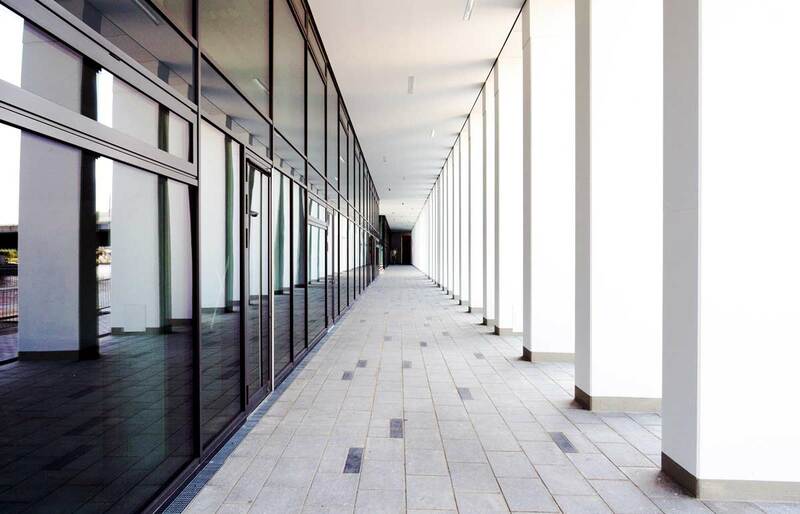 The square’s open design effectively accentuates the new entrance to Böcklerpark and its waterside promenade.